Monthly biographies on women in the various fields of science and medicine. Some stories are more historical, while others are quite current. Update 2012: Monthly biographies will now be less frequent. New biographies will be posted periodically and will appear on our homepage. If you would like to feature someone as our Woman of the Month please let us know at JAWSadmin@gmail.com! The amazing story of the Jewish professor who discovered a treatment for Alzheimer's. In memoriam of Judith Edelman, a firebrand Architect in a male-dominated field. August 2014 marks the 5th year anniversary of JAWS! This month we highlight Israel?s first female Haredi dean, mathematician Malka Schaps. Read how Dr. Schaps is helping other religious women follow in her footstep. September begins a new school year. This month we honor Margaret Naumburg, psychoanalyst and founder of the Walden School. Margaret Naumberg was an influential author of many works on psychology and art therapy. August marks the two year anniversary of the establishment of JAWS! This month, we honor a group of Jewish physicians and nurses who work as volunteers providing lifesaving treatment for women and children in the developing world. Read about their Tikkun Olam through Medicine. “A Jewish woman whose father-in-law is a rabbi, who keeps a kosher home, who invites her lab assistants to Passover seders, and worries about them catching colds is not the typical image of a Nobel Prize winner,” Emily Taitz writes in Jewish Women: A Comprehensive Historical Encyclopedia. “But it is the image of Rosalyn Yalow, the first woman born and educated in the United States to win a Nobel Prize in a scientific field.” Her recent passing in May 2011 reminds us of her incredible legacy. Read more about her by clicking on her name link. May her memory be of blessing. Ada Karmi-Melamede, architect, lecturer and researcher in architecture, is one of the most important architects in Israel. Together with her brother Rami, she designed and built the Israeli Supreme Court. There are many other structures for which she is responsible for; keep reading to learn more about this incredible architect! This month, JAWS was privileged to have personally interviewed Mayim Bialik. Being an actress (Blossom anyone? ), neuroscientist, and mother; our interview with Mayim covered quite a bit of ground! The interview concludes with different videos of Mayim from her acting to her speech at TribeFest. We think you will enjoy this interview; happy reading! In the judgment of many, she is the greatest algebraist of the twentieth century; meet March's WOM, Emmy Noether! As a contemporary of Albert Einstein she was, in his own words, "the most significant creative mathematical genius thus far produced since the higher education of women began." This month we feature another nobel prize laureate, Dr. Rita Levi-Montalcini. Who would have thought that the first Italian to receive a nobel prize was a Jewish woman?!? Dr. Levi-Montalcini discovered the existence of nerve growth factors (NGF), a contribution that has impacted all of biology. Against all odds, from her father's disapproval, to Benito Mussolini's race laws, and finally the disbelief of the scientific community, she still managed to succeed. With the new year comes a wonderful story of a poor but curious rabbi's daughter and her journey to becoming a successful chemist and nobel prize laureate. Meet Dr. Ada Yonath! Our December WOM, Judith Resnik, was the first Jewish woman to travel to space. Her pioneering spirit brings to mind the bravery of the Hanukkah heroine, Judith (Yehudith). Read her story, be inspired and may her memory be for blessing. Meet Dr. Barbara Barlow, pioneer pediatric surgeon and lifetime community activist! It's been a year since WOM first began and there is no stopping us now. 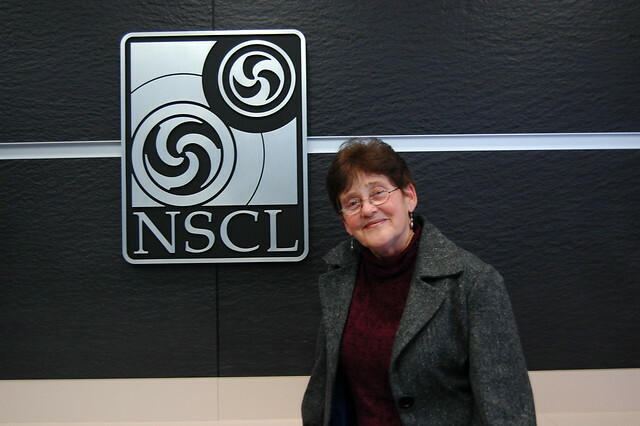 Join the celebration by meeting our October WOM, renown scientist, Dr. Elaine Fuchs! It's already back to school for many of us, so let us go back in time too. Meet Elizabeth D.A. Cohen, Louisiana's first woman physician. Grab an icy drink and read about our August WOM Mini Verter and her "Rare Road to Residency." Summer is here! And so is our July WOM Myriam P. Sarachik! Our June highlight is biochemist Maxine Singer. This May, we highlight the first female engineer to be named dean of an engineering college in the United States. 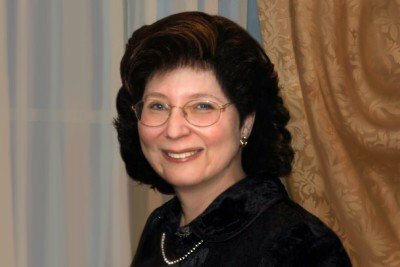 Meet Dr. Eleanor K. Baum! A Female veterinarian? Sure. A Jewish Female veterinarian? Not so common. Meet veterinarian, Dr. Elizabeth (Elisheva) Kaufman! The ongoing debate about Healthcare reform is a hot topic in the media. Learn more about one woman who is making a real difference in her hometown's healthcare, nurse Marla Oros! Usually we highlight a woman, but in honor of our fellow nurses, we present to you the History of Nursing in the United States. This month we feature scientist Susan Band Horwitz. The reader would benefit from a science background, but the story is nonetheless inspiring for all. December 1st is Worlds AIDS Day. Following JWA's lead, we would like to highlight the life of Dr. Abby Shevitz, advocate in the global fight against AIDS. Following the time appropriate news of the Nobel Prize winners we present the story of a past Nobel Prize Laureate, Dr. Gertrude B. Elion. We are very excited to share her story with you and hope you too are left in awe, just as we were! This month's highlight is Dr. Naomi Amir, a pioneer in pediatric neurology.